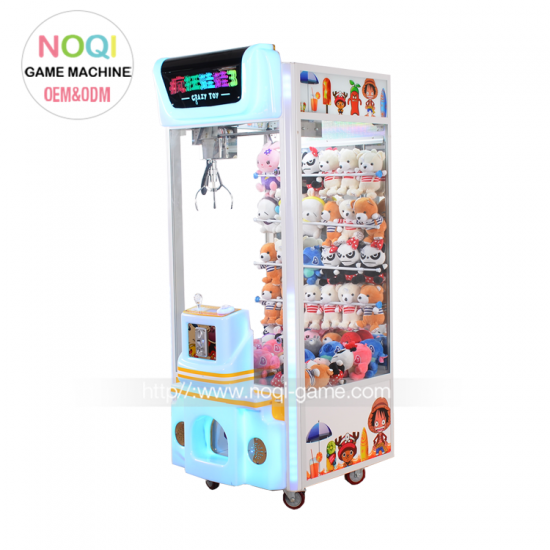 A claw crane machine consists of many parts, but the basic components are a printed circuit board (PCB), power supply, currency detector, credit/timer display, joystick, wiring harness, bridge assembly, and claw. 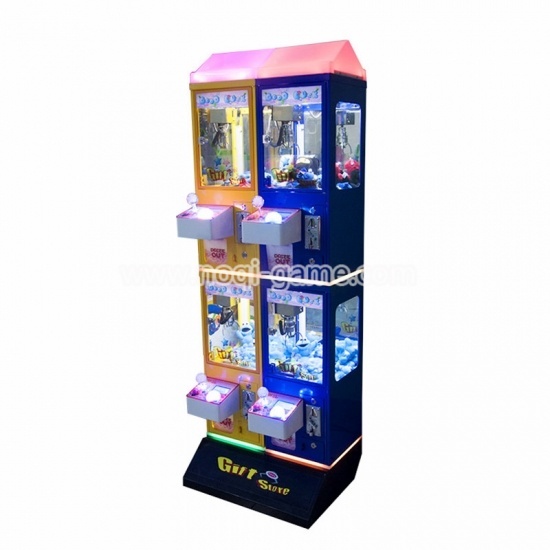 The claw of crane claw machine has two or more fingers, although most claws have three. 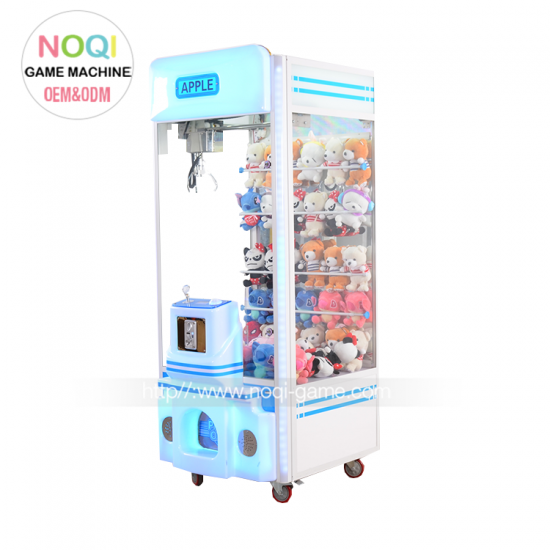 Usually crane claw machine consists of prizes, mostly plush toys or alternatives such as jewelry, capsuled toys, hats, balls, dolls, shirts, candy and electronics. 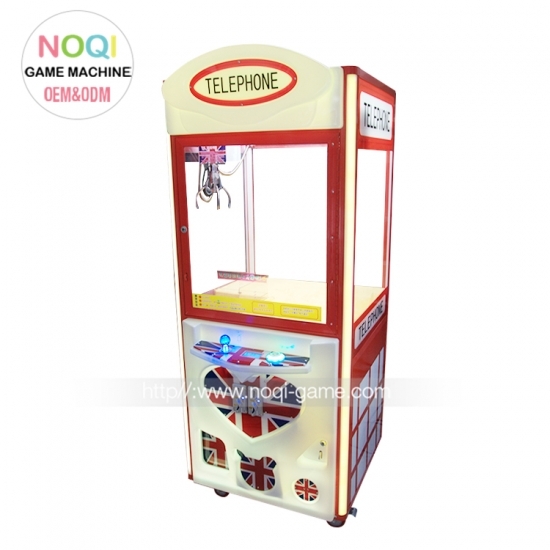 About family telephone crane It features a strong lacquer aluminum body with tempered safety glass, with a double electronic comparable coin acceptor.Candy claws to catch sweets are available! 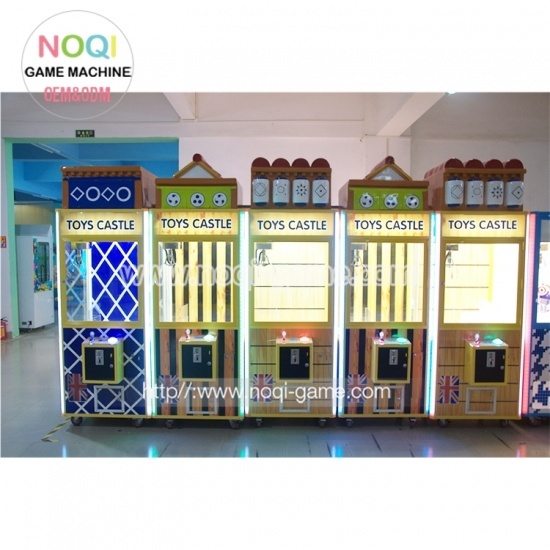 Features: 1.There are two cranes inside,parent and children can play together. 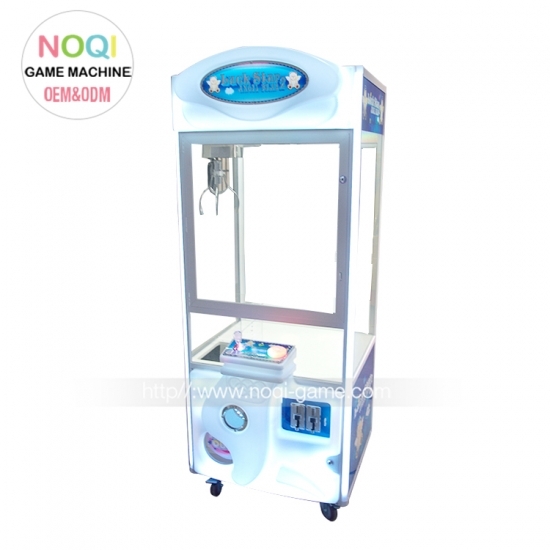 2.Featuring with high configuration and stable system, the motion speed of the crane,the payout percentages as well as game time can be adjusted accurately by the motherboard. 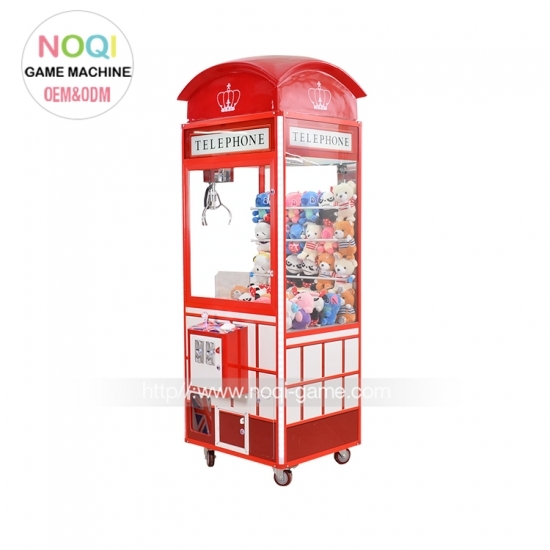 3.Strong metal cabinet with 5mm tempered glass 4.15 mm fireproof board and 4mm imported acrylic plate 5.OEM,ODM work accepted. 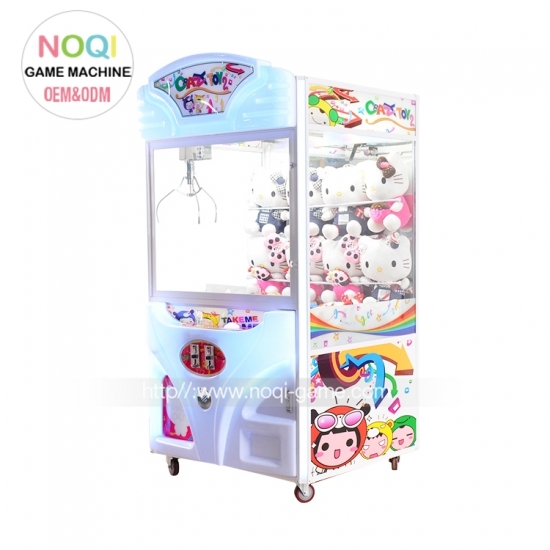 About New design apple big crane claw machine with LED lights Big claw apple crane machine is a newly developed model that suitable for 11 inch toys, design for 1 players.With attractive running lights and high quality oven lacquer aluminum material,it has good profit in shopping mall,cinema,game center. 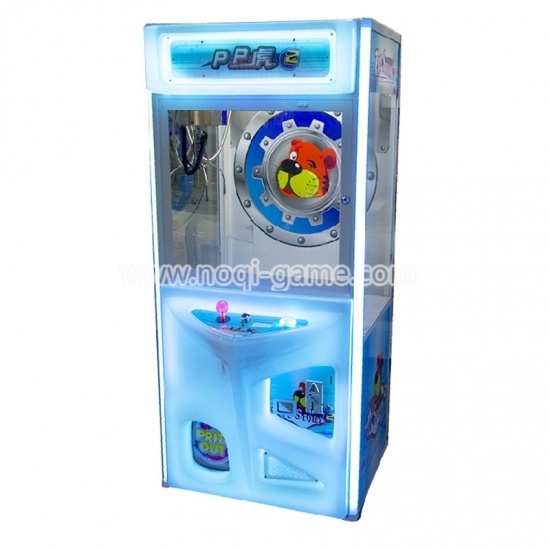 How to play: - insert coin(s) to start the game - player try their best to control the joystick to grab an desired prize - press button to drop the claw and grab the prize to win the game Features: 1: Attractive Running Lights and tempered glass 2: Programmable Pricing and Options 3: Interactive Sound System 4: Play Till You Win Option - On/Off Dip Switch Setting 4: Multi coin acceptor and bill acceptor optional. 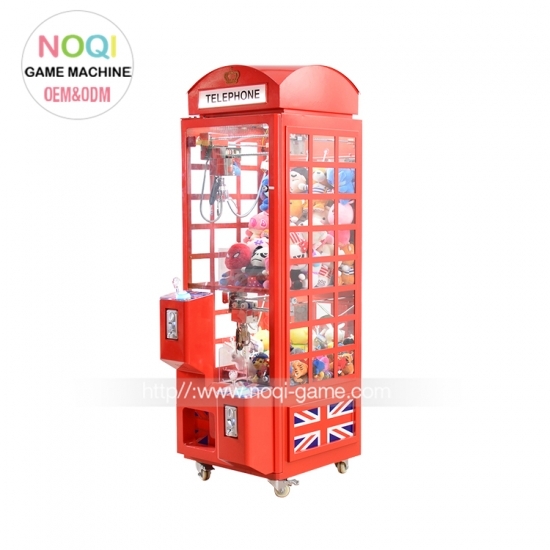 Introduction: Crane claw machines are a skill game that require practice and are great at attracting repeat plays like arcade games. 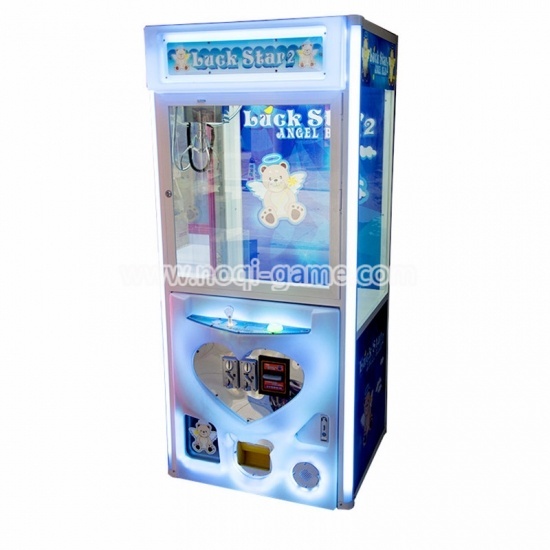 We can even customize a claw machine to match your corporate logo for events or trade shows. 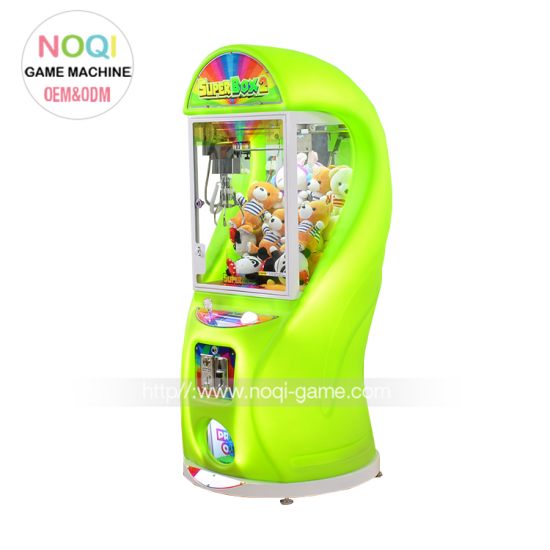 With the new Candy Crane Machine, Kids of all ages will be drawn from all around to this bright, attractive candy crane. From the bright candy lights and light-up roof to the big lollipop on top, this crane will keep them coming back over and over again. Perfect as a "winner every time" piece and great for restaurants ! Features: 1. Innovative super mini crane. 2. Flexible setting for normal game or win every time. 3. Different ceiling style and lower stand are optional. 4. Claw's speed and power are adjustable. 5. Hanging on the wall is available. Features: 1: Attractive Running Lights. 2: Programmable Pricing and Options. 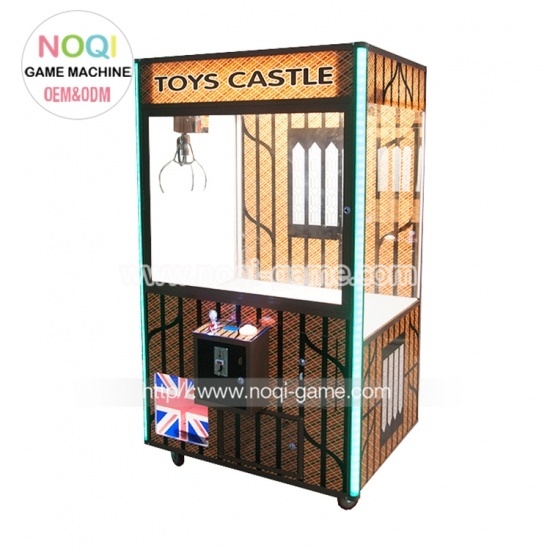 3: Interactive Sound System 4: Play Till You Win Option - On/Off Dip Switch Setting 4: Multi coin acceptor and bill acceptor optional. 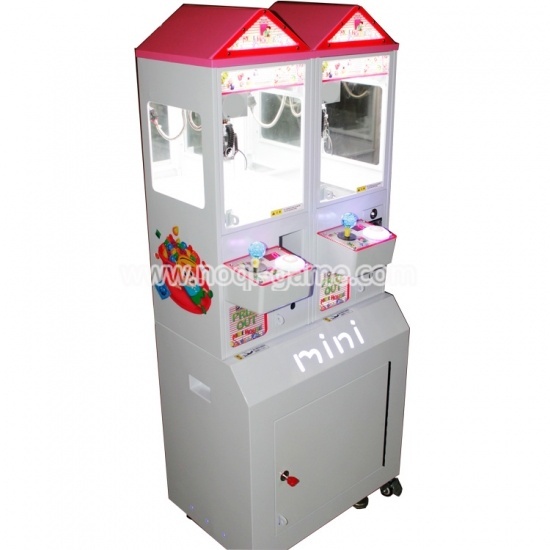 About Popular mini grabber machines for 4 players 4 players mini Crane Machine is the advanced version of classic crane machine, design for four players in one cabinet, is an special crane machine with shinning lights.With its solid metal cabinet and its compact dimensions, it’s very popular with both the operators and the youngest players.As always, it’s fully auditable, equipped with easily accessible components. 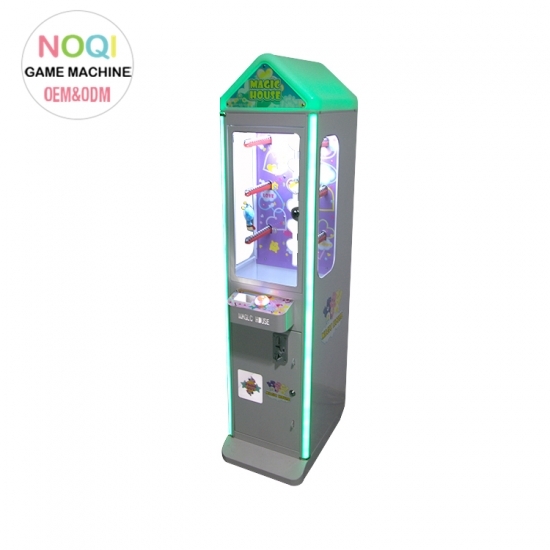 How to play: - insert coin(s) to start the game - player try the best to control the joystick to grab an expect prize - press button to drop the claw and grab the prize to win the game Features: 1. Innovative super mini crane. 2. Flexible setting for normal game or win every time. 3. Different ceiling style and lower stand are optional. 4. Claw's speed and power are adjustable.